Recently received our Worm Factory 360, and just so I will be prepared (this is the only part about this that kinda scares me!! ), what can we do if our worms begin to receive unwanted houseguests?? I have read that Diatomaceous Earth-Food is good to sprinkle in the bin, can someone verify this or give me some other ideas? I do not want to hurt my little worm workers!! I get asked this a lot and good news! I have 3 pages dedicated to the topic of Diatomaceous Earth and using it in the worm bin. There's also a whole lot more I talk about concerning this wonderful natural earthy mineral. It's hard to say what you are actually dealing with in your worm bin concerning any type of pests but to answer your question, Absolutely Not! 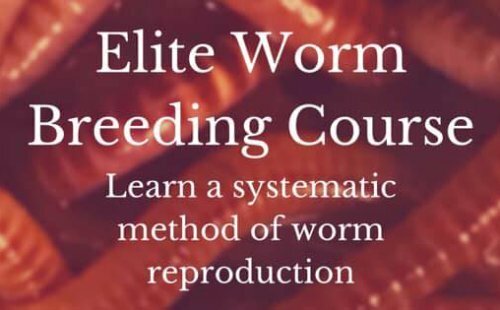 Diatomaceous Earth will not harm your worms as they are a soft bodied creature. I also show you how to apply it in the worm bin. So go check it out.